Owner of a garage in Brazzaville, Congo. Since 1998, the IECD and its partners have implemented the Support for Small Enterprises program, which accompanies heads of small businesses or start-up entrepreneurs in the creation, consolidation and permanence of their activity. It is now deployed in 9 countries. Aurélien is married and is the father of two children. He lives in Brazzaville, Congo. An ambitious entrepreneur, he wants to develop his garage in order to achieve his dream: to train young people in car mechanics. He tells us how he managed to do this. « While looking for ways to implement my project, I heard about the Basic Management Training proposed by Congo Entreprises Développement (partner of the IECD). I quickly enrolled. Thanks to this training, I conducted market research which showed me the importance of geographic location for business: my workshop is now in more visible and more spacious premises. The post-training follow-up and support visits helped me to improve the state of my workshop, to create proper financial management, increase my staff and diversity my business. Today, my workshop has five employees and five apprentices. 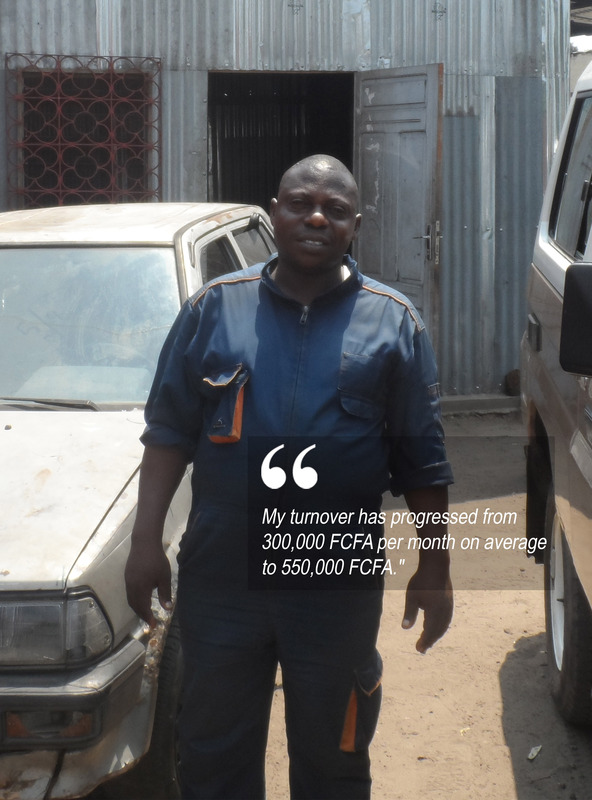 My turnover has progressed from 300,000 FCFA per month on average to 550,000 FCFA. I am very happy with this development and I have decided to continue with a course specializing in Marketing. I learned how to develop a marketing plan for my garage and I hope to increase my turnover even more.